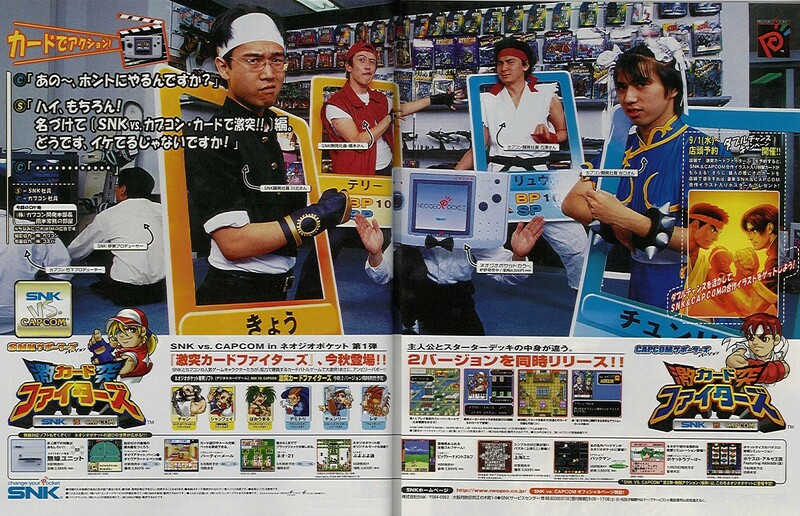 The ultimate fighting game grudge match. 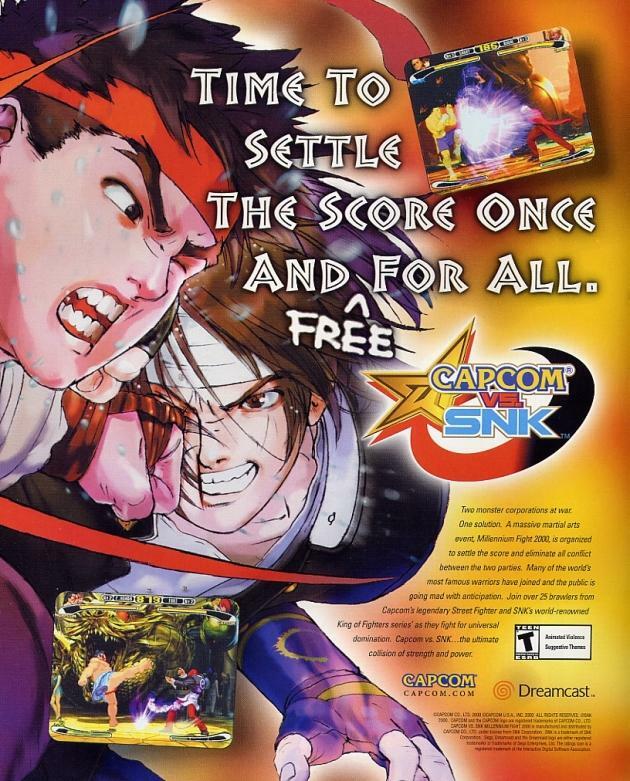 Capcom vs. SNK: Millenium Fight 2000 is the first Capcom-developed entry in the crossover fighting series. 14 characters from each brand (28 total) come together to battle it out to see just who really is the king of fighters. It was originally released for Sega’s NAOMI arcade board, and later ported to Dreamcast. This ad comes from the campaign for the release of the Dreamcast port in North America.